These attractive plants are invaluable as house plants, for the greenhouse, and for filling summer flower beds. Some kinds are grown for their ornamental leaves, others for their flowers; some bloom in summer, others in winter, while a few flower more or less all the year round. Begonias are found wild chiefly in South and Central America, though many are native plants of India and other tropical and subtropical countries. They belong to the family Begoniaceae. The name Begonia commemorates a Frenchman, M. Michel Begon. Begonias can be grouped conveniently in three sections: 1, Tuberous-rooted; 2, Fibrous-rooted; and 3, those valued for their ornamental leaves. Tuberous Begonias. These have large underground tubers. Modern varieties have been evolved by crossbreeding between several South American wild types, and by further crossbreeding between those so raised. There are innumerable varieties with single, semidouble or double flowers in almost every color except blue. It is worth while selecting named varieties from a catalogue for cultivation in pots. In some varieties the edges of the petals are frilled, in others the petals are crested. The plants have stout, fleshy stems about 15 in. in height, and large, deep-green, glossy leaves. The stems and leaves are of annual duration and die down in the autumn. The underground tuber rests during the winter, and sends up new shoots in the spring. How to Grow Tuberous Begonias in Pots. The tubers are started into growth in March or early April by setting them in shallow flats. Peat moss or leaf mold is placed in the flats, the tubers are set on this about half an inch apart, and light, leafy soil is sprinkled between them, the tops being left uncovered. The boxes of tubers are placed in a temperature 60-70 degrees F. and the soil is kept moist; soon shoots develop. When these are about half an inch long, the plants are potted separately in 4 or 5-in. pots according to their size. 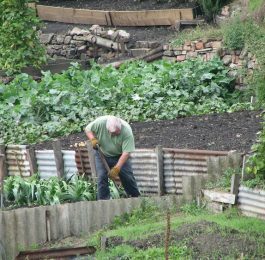 The best potting compost consists of fibrous loam two parts, leaf mold or peat moss one part, well-decayed manure half a part, and a sprinkling of sand. One quarter ounce of bone meal should be added to each quart of compost. The plants must be potted moderately firmly, but the compost must not be rammed down with a potting stick. When the roots reach the sides of the pots the plants are finally repotted, 6, 7 or 8-in. pots being selected according to the vigor of the plants. A temperature of between 55-60 degrees is sufficient for Tuberous Begonias after the plants have been potted; too much heat produces weakly growth. The atmosphere is kept moist, and the plants are shaded from hot sunshine. Flower buds are picked off as they appear until the plants are established in the pots in which they will bloom; weak liquid fertilizer is then applied twice a week to increase the size of the blossoms. When flowering is over less water is given, and when the leaves have fallen the plants are dried off entirely. The dead stems are removed, the tubers are shaken free from soil, allowed to dry in the air for a few hours, and are then stored in boxes of dry soil, sand or peat moss, in a temperature of about 45 degrees. Tuberous Begonias for Flower Beds. The tubers are started into growth in flats filled with leaf mold or peat moss as described above. When the new shoots are an inch long the plants are gradually hardened off, and are placed in a cold frame a couple of weeks before they are to be planted in the garden. The frame must be kept close for a few days; subsequently, free ventilation should be given to harden the plants thoroughly. When the weather is finally warm and settled, normally about 2 weeks after it is safe to plant Tomatoes out, the Begonias are planted about 12 in. apart, in the flower beds, in a partially shaded location. The multiflora type of Tuberous Begonia is well adapted for summer bedding. Of dwarf, compact habit, very free-flowering, with semidouble or double flowers, it is available in several named varieties. They are increased by cuttings of young shoots produced by tubers started in heat in January. Dormant bulbs of Tuberous Begonias are sometimes planted directly in the flower beds 2 in. deep and 12 in. apart, at Tomato-planting time; they will start flowering later than the others. After the Begonias are planted, the surface of the flower bed is covered with a layer of well-decayed manure, compost or peat moss. During dry weather the soil is watered once or twice a week. The plants continue to bloom until cut down by frost; then they are lifted, and the tubers are dried off and stored for the winter in the way already advised. Tuberous Begonias in Baskets. There are many varieties of Tuberous Begonia which are of drooping habit of growth, and are ideal for cultivation in suspended baskets. Their long slender shoots hang over the sides of the basket and produce masses of bloom. The tubers are started into growth in the way already explained. Wire baskets are lined with moss and filled with the compost previously advised; the sprouting tubers are then planted about 6 in. apart, the tops being just covered with soil. The basket is hung in a moist, warm atmosphere—temperature 55-60 degrees—and syringed frequently to prevent the soil from drying. The flower buds are picked off until the plants are well rooted and growing freely. Liquid fertilizer is applied twice a week when the Begonias are in flower, and the plants are then given cooler conditions. After flowering they are treated as advised for pot-grown plants. Wax Begonias. The fibrous-rooted section of Begonias includes many beautiful free-flowering kinds. One of the best is B. semperflorens, the Wax Begonia, which is used extensively for summer bedding as well as for growing in pots. It grows about 12 in. high, has evergreen, roundish leaves, and bears clusters of pink, white, red or crimson flowers, according to variety. It is more or less perpetually in bloom, but flowers are produced in the greatest profusion during the summer. 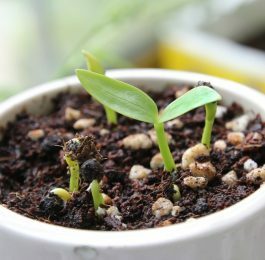 Propagation can be effected by seeds or cuttings; details are given at the end of this article. The seedlings or rooted cuttings are potted separately in 3-in. pots, or set 2 in. apart in shallow boxes of soil, and kept in a temperature of 55-60 degrees—until they are hardened off and planted out of doors when the weather is warm and settled. In fall they are lifted from the beds and if desired may be potted and carried over winter in a temperature of 50-55 degrees, and in spring the shoots may be inserted as cuttings to provide plants for summer. Seedlings or rooted cuttings may also be potted in 5 or 6-in. pots in April–May to produce flowers in the greenhouse and window garden during the summer. There are numerous varieties of Begonia semperflorens including some beautiful double-flowered kinds, some with rich red foliage, and the delightful Calla Lily variety that is a popular house plant in New England. The Calla Lily Begonia cannot be grown where summer nights are hot. Christmas Begonias. These popular kinds were obtained by hybridizing B. socotrana and B. Dregei. They grow 18-24 in. high, and have roundish, light-green leaves and terminal clusters of delicate pink flowers. Propagation is by cuttings of basal shoots in March, or, more usually, by leaf cuttings in November and December. The young plants are potted into 2 1/2 to 3-in. pots in sandy, peaty soil, and are potted on into successively larger containers until they are finally in 5 or 7-in. pots or baskets in a compost of equal parts of loam, leaf mold, and well-decayed manure, with a sprinkling of sand. The plants require a moist, semishaded greenhouse with a minimum temperature of 55 degrees. The slender stems are tied to stakes and flower buds are removed until November. The flowers are then allowed to develop. Weak liquid fertilizer, applied once a week to specimens that have filled their pots with roots, is beneficial. 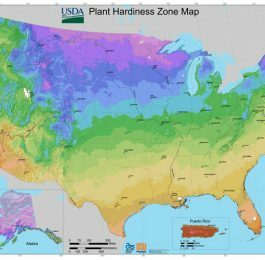 Plants in flower should be kept in a temperature of about 50 degrees—to prolong flowering. After flowering, less water is given, and the soil is kept moderately dry until February. The plants may then be restarted into growth to provide young basal shoots to insert as cuttings. Other Winter-flowering Begonias. By crossing the winter-flowering Begonia socotrana with the tuberous kinds, a race of Begonias has been obtained which begins to flower in October and continues until the end of January. These reach a height of about 2 ft., are of somewhat similar growth to the tuberous kinds, have larger and coarser leaves than Christmas Begonias and bear flowers which vary in size from 11/2-3 in. in diameter. There are single and semidouble varieties and the colors include rose, carmine, scarlet, pink, and rosy-crimson. They need the same treatment as Christmas Begonias. Begonias with Ornamental Leaves. Begonia Rex and its hybrids and varieties are the chief kinds which are grown mainly for the beauty of their foliage. They have short rhizomes or rootstocks, from which arise long-stalked, ovate, wrinkled leaves averaging 6 in. in diameter. The leafstalks, veins, and in softie varieties the upper surfaces of the leaves, are covered with fine hairs. The leaves are beautifully marked with silver and green, light and dark green, red and green, purple and green, and so on, in the different varieties. Begonia Massoniana has handsome green leaves each marked with a chocolate “Iron Cross”. Will Grow Under the Greenhouse Benches. These Begonias can be grown in pots or may be planted under the greenhouse benches. They may also be grown as house plants and in lath houses in California and other essentially frost-free climates. They require a minimum temperature of from 50-55 degrees, a moist atmosphere and semishaded position. The best potting compost consists of loam and leaf mold in equal parts with coarse sand, rotted manure, and some chopped charcoal added. Water is required in abundance during summer, but in the winter only when the soil becomes dry. The shoots do not require pinching and no supports are necessary. Repotting is done in March. These Begonias are then either repotted in slightly larger pots, or separated into rooted pieces which are potted or planted separately. Propagating is by division or by means of leaf cuttings in the way described at the end of this article. They can also be grown from seeds. Other Special Begonias. 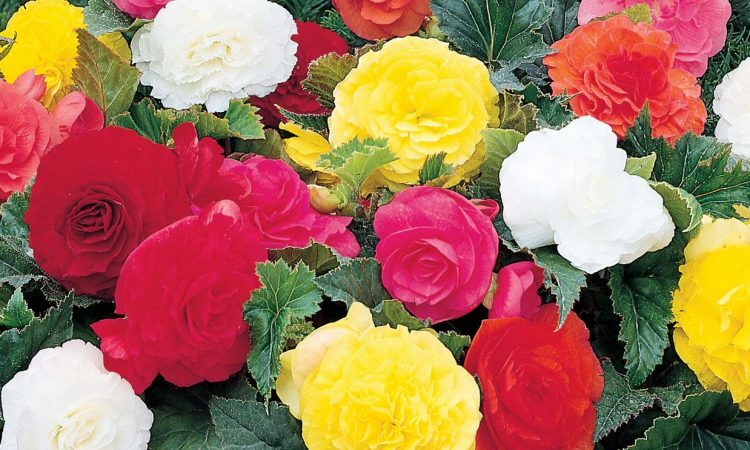 In addition to those already described there are many other kinds of Begonia which are very ornamental and are favorite plants of both connoisseur and amateur. New varieties are raised and named frequently. The American Begonia Society is devoted to extending interest and knowledge of all kinds of Begonias. The following brief descriptions refer to only a few of the many kinds available. B. coccinea, a fibrous-rooted Begonia, called Angel Wing Begonia, grows 12 ft. in height, has evergreen leaves and bunches of cerise flowers. It is useful for growing on wires fixed to the greenhouse roof. It can be kept to smaller size by taking cuttings annually in spring, the plants being grown in 6-in. pots. B. President Carnot is similar in habit of growth though not so tall, has coarser leaves and larger bunches of pink flowers. It is a handsome Begonia and makes a splendid plant in an 8-inch pot. Begonia nitida is a dainty plant which grows to about 3 ft. in height, has glossy green leaves and bears pink flowers. B. fuchsioides has small, dark green leaves and pendulous bunches of dainty pink flowers on slender stems 2 ft. in height. B. Scharffii (Haageana), with large, hairy leaves and immense trusses of white flowers faintly tinged with pink, grows about 4 ft. high. B. manicata has large leaves, the stalks of which are covered with red, scalelike hairs; it bears large panicles of pink flowers in late winter. B. metallica has leaves of metallic coloring; it grows to a height of 4 ft. and bears blush-white flowers. B. argenteo-guttata, the Trout Begonia, has silver-spotted leaves and blush flowers; it grows about 4 ft. tall B. socotrana differs from most Begonias in having a cluster of bulblike growths at the base of the stems. It is a winter-flowering kind and is one of the parents of the Christmas Begonias as well as of the large-flowered winter-blooming Begonias. Its large, dark green leaves are about 6 in. in diameter, and almost round; the flowers are bright-pink. B. Evansiana, pink flowered, and its white-flowered variety alba have small bulblike tubers. These are the hardiest Begonias. They live outdoors over winter in sheltered places at New York City. When to Sow Begonia Seeds. Seeds are sown in February or March, in pots of light, finely sifted compost consisting of loam, leaf mold or peat moss and sand. They are sprinkled thinly on the surface and are pressed in but are not covered with soil. A sheet of glass is laid over the pots, which are set in a temperature of 60 degrees. The seedlings are pricked out when they have formed two good pairs of leaves, and set one inch apart in flats filled with finely sifted loam and leaf mold in equal parts with the addition of sand. Subsequently they are potted in small pots and, later, into those in which they will bloom. Wax Begonias in most varieties come very true from seed and are most frequently propagated in this way and natural species (unimproved wild kinds) also breed true, but the great majority of improved garden varieties either do not produce seeds or do not reproduce themselves true to type from seeds. For these plants, cuttings, leaf cuttings and division are the modes of propagation used. New Plants from Old Leaves. Christmas Begonias and Rex Begonias are propagated by leaves. Mature leaves are detached from the plants and, in the case of Rex Begonias, notches are cut in the veins, near where the latter cross, on the lower surface of the leaves. They are then laid, underside downwards, on sand or sand and peat moss in a propagating frame or in a terrarium. Young plants will form near the notches and, when the roots begin to form, they are potted singly in small pots. The leaves of the Christmas Begonias are not notched but are inserted under similar conditions with their stems in the sand or sand and peat moss mixture. When to Take Cuttings. All kinds of Begonias are easily increased by means of cuttings. Young shoots, 3-6 in. long, are inserted in sand in spring or summer. These are placed in a warm propagator, which is kept close until they are rooted. They are then potted separately in small pots and subsequently into larger ones. Division as a means of propagation is applicable to Begonias that form rhizomes (stems that creep over the soil surface and root downwards). The plants are simply cut or broken into two or more parts in early spring and each part potted separately.